A park in Burlington is visible in the foreground of this image. A dirt road cuts in front of the park. A residential area lies beyond the road. 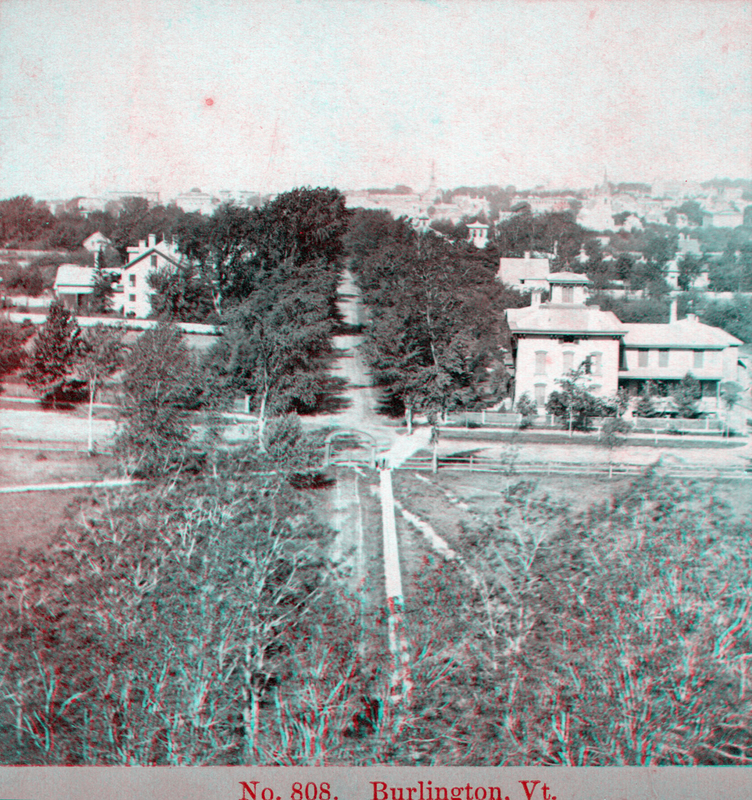 It appears that some campus buildings at the University of Vermont stand in the background of the image.